Priced to Sell; move-in ready waterfront residence with 50' of no bank waterfront and large newer dock. Soaring ceilings walls of glass to enjoy dreamy lake & mtn views. Gourmet kitchenâ¦Viking appliances, mahogany cabinetry & slab granite. Casual & formal dining venues. Ring in the day with stellar sun rises. Sumptuous master suite with f/p & remodeled 5 pc spa bath. Huge lakefront patio for outdoor living! 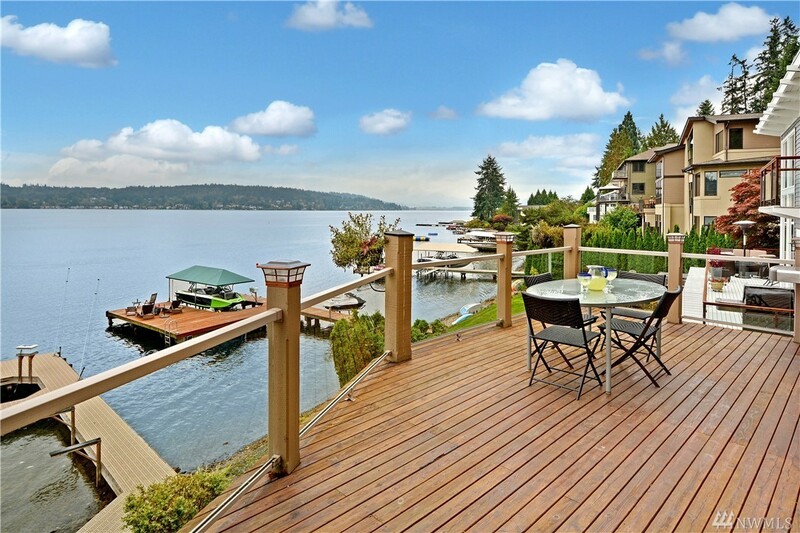 Great Bellevue schools, easy access to I-90 & 520. The ultimate holiday gift awaits!